New Product Alert! 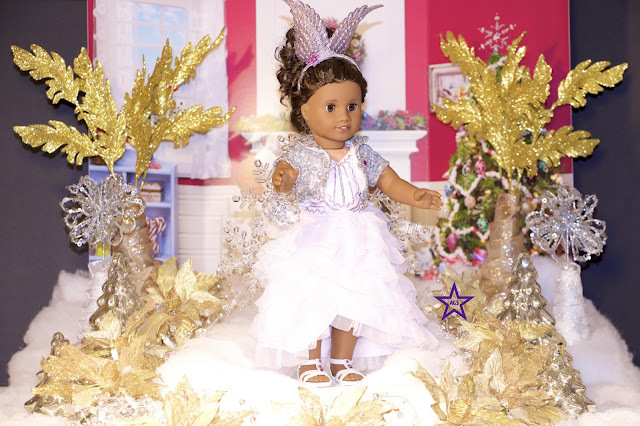 American Girls new in store exclusive gown was released on November 19, 2015. The dress is called Frosted Violet Gown, and it retails for $58 US and $89 CAN. Woohoo! It's a stunner:) The lovely violet dress also comes with a silver sequin cloak, a pair of shoes, a headband and a very fabulous sequin silver purse. Check out the pictures below to get a peek at the Gown. 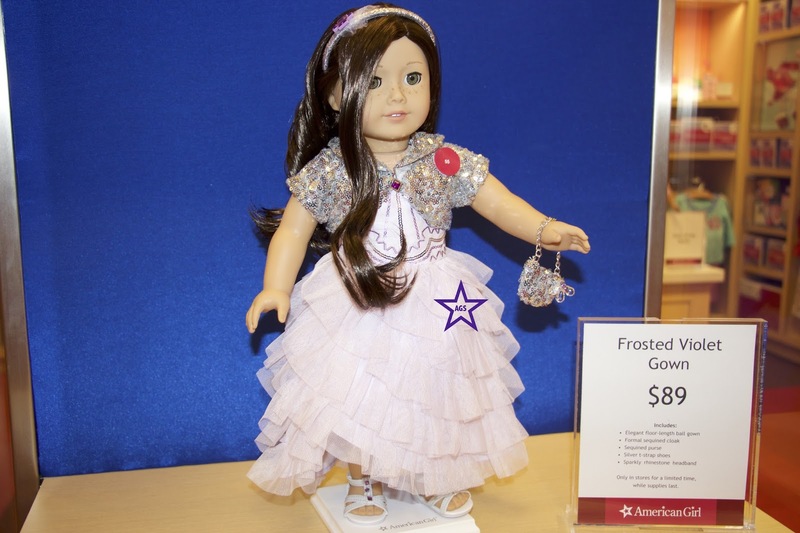 A look at the Frosted Violet Gown on display at American Girl Chapters Rideau Center store. This is Violet wearing the new Frosted Violet Gown. I added some accessories as she will be fashioning this dress in the American Girl Spirit Holiday Fashion Show. 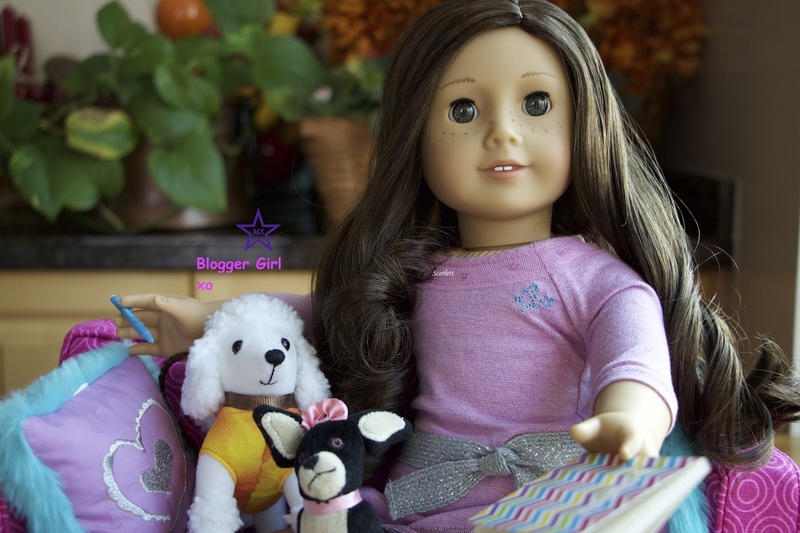 Make sure to check out American Girl Spirit YouTube channel for the fashion show.